This beautiful vintage inspired Victorian Christmas pillow would add elegance to any room in your home during the holidays. 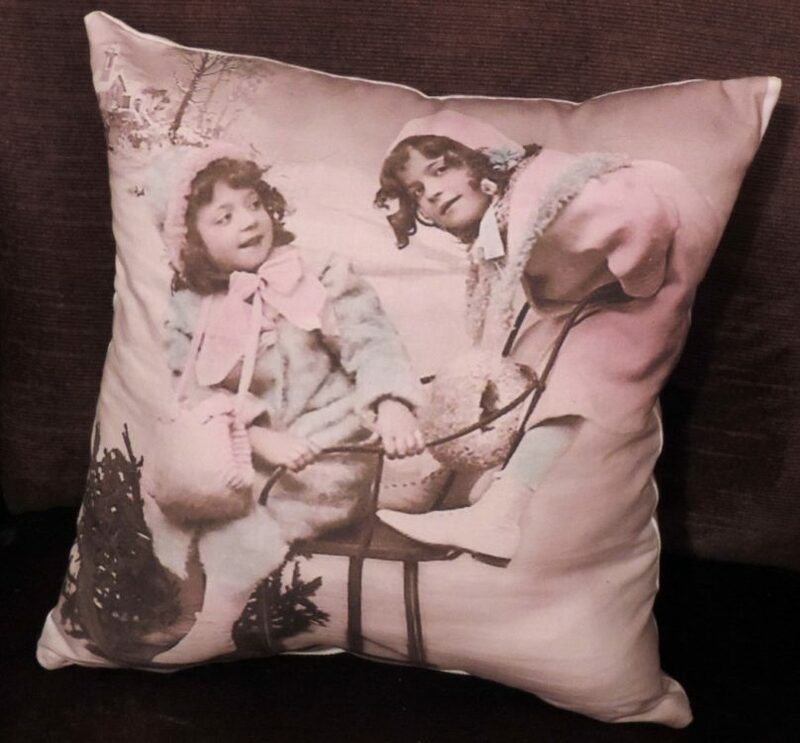 This handmade printed pillow features a vintage Victorian image of two little girls playing on a sled in sepia tones with pops of pink and blue. 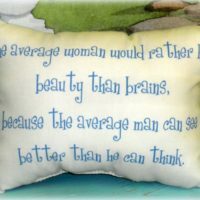 This sweet vintage inspired Christmas pillow would add a touch of vintage charm to a chair or bed this holiday season. 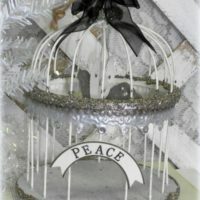 Give it as a gift for someone who adores shabby chic, vintage or Victorian style.They will love it. 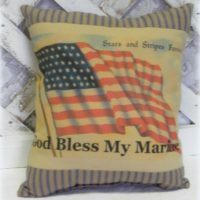 This sweet pillow can be displayed all winter long!